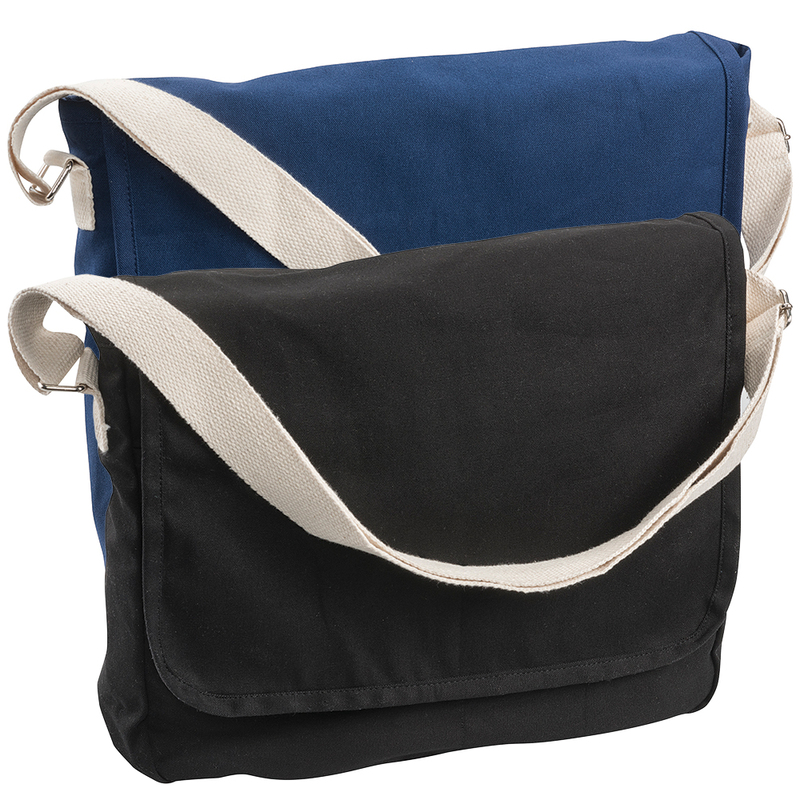 Manufactured from 12oz canvas this bag has front pockets under the front flap for quick access. Available in 2 colours. A large main compartment, carry handle, shoulder strap and a business card holder on the back.